An award-winning marketing and communications professional, Jan’s work in the public and private sector has spanned three decades, five states, multiple industries, and more than a dozen personal moves and housing transactions. 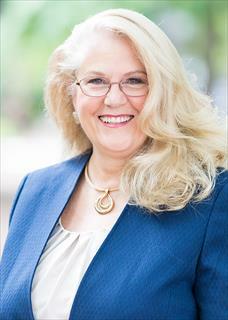 Most recently, Jan was the Communications Director for Buncombe County Schools, where she managed the school system web site, social media and media relations, and communicated on a nearly daily basis with educators, staff, and parents of 25,000 students spread out across the 660 square miles of Buncombe County. It is safe to say, she knows the county well! A native of Richmond, VA, Jan was also the Communications Director for the City of Thornton, CO, after holding marketing positions in the furniture and television industries in VA, PA, and SC. Jan is married to former news anchor Larry Blunt, with whom she raised four children in a blended family. Together, Jan and her husband make up The Larry Blunt Team, using their knowledge of the area, sensitivity to those in transition, and professional communication skills to listen to their clients and make sure their needs are met. They love the Asheville area, and are ready to share that love with newcomers and natives alike! Jan has a BA in English and Theater Arts from Gettysburg College, and a Master’s in Public Affairs from Western Carolina University. She is a graduate of Leadership Asheville, and serves on the NC State Employees Credit Union Advisory Board and Loan Review Committee.